Photocrosslinked silicone acrylates are used in a variety of applications, such as printing inks, adhesives, or adhesive release liners. Their production requires the use of a photoinitiator. Even if the photoinitiator represents a minor mass in the photocurable formulation (2–10%), it is used in excess and residual amounts may therefore remain in the polymerized products and possibly migrate into the environment during the use of the products and/or at their end-of-life stage. Little is known on the possible degradation of silicone acrylate which may increase the potential release. The present study investigated the release of Darocur 1173, the most commonly used photoinitiator, from silicone matrix and the effect of accelerated photoageing on the extent of the phenomenon. Leaching tests in water were conducted on thin-coated plastic film (release liners) made of a mixture of polypropylene and polyethylene. Results showed that 44% of the Darocur 1173 photoinitiator initially used in silicone formulation was released from silicone matrix in the leaching test. Accelerated photoageing obtained by UV irradiation of the films for up to 200 h was found to favor photoinitiator degradation but also induced a strong and fast oxidation of silicone-coated liners as compared to that of uncoated ones. This project was carried out thanks to FUI-ECOSILAC funding (Unique Interministerial Fund-ECOconception of new SILicones ACrylates). 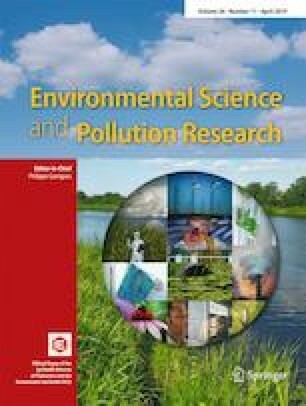 The authors acknowledge the analytical department of the DEEP Laboratory for contribution in this study. 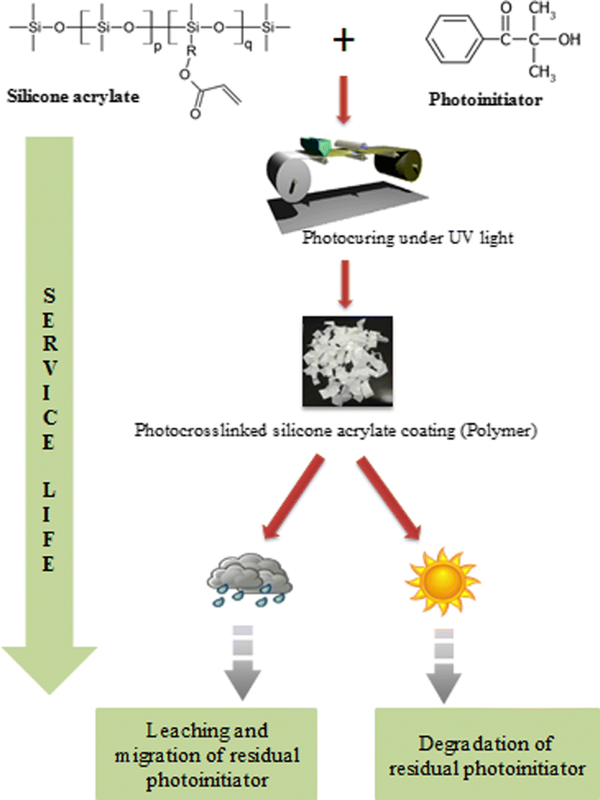 The authors would also thank the Bluestar Silicones Company, for supplying silicone coatings and “Le Centre National d’Evaluation et de Photoprotection (CNEP)”, Clermont-Ferrand for photoageing experiments.